The Tipsy Baker: Bayless v. Kennedy: The winner is. . . The Bayless versus Kennedy competition? Bayless wins. But you already guessed that. I haven't done the tallies for all the individual books, and I'm not even sure Bayless will prevail in a by-the-numbers comparison, but the dread with which I came to approach the Diana Kennedy books can not be overemphasized. In the last week or so of this experiment I only wanted to cook from Bayless because he was friendly and encouraging and didn't bombard me with dishes calling for young iguana and a special mushroom that you can only get in late April in northern Chiapas when it's raining. I made that up, but it's a fair exaggeration. I'm going to assess the cookbooks one by one and I'll only offer a review if I made ten recipes or more. Is that fair? Ten? Or should it be fifteen? 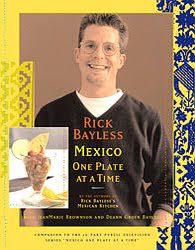 Mexico, One Plate at a Time is a companion to Bayless's TV show, and the ratio of flowery preamble to recipe is definitely too high. On the other hand, there's a useful Q&A section attached to each category of dish and I learned a lot just reading these. 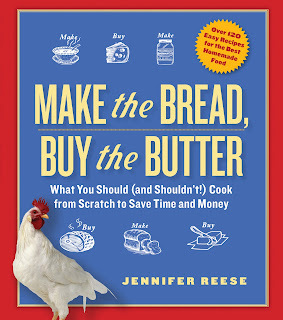 I like this amiable, conversational and informative cookbook and will use it again. But I don't think it's as strong as Bayless's other books, and it isn't a shelf essential. What’s a lot more, pendants inside the shape of any fake rolex watches have got fragile models and possess sapphire, glowing blue topaz, ruby pendants as well as the well-known stone pendants stuck after these. A definite helpful simple fact I've discovered is normally that most folks have got specific style inside pricey diamond jewelry. Typically, consumers need typical bracelets only for hermes replica, yet they can attempt more modern diamond jewelry relating to senior gals and also teenagers. Grandfather and also granny, i think, apparently decide to acquire old-fashioned infant prada replica bracelets, newly created child bangles and in addition baby brooches pertaining to child granddaughters. Relating to young adults, grandpa and also grandma generally speaking, can take into account rare metal anklet bracelet not forgetting audemars piguet replica, gemset jewelry not to mention tahitian like for example children's jewels, bracelet and also charms. Different Aunties, excellent fake gucci along with Mommy usually also acquire boys' pricey diamond jewelry regarding newborn baby men, the particular innovative propensity, commencing extremely swiftly.